Meredith Mitchell’s old friend, Toby Smythe returns from a posting in Beijing and asks for her help in getting to the bottom of some poison pen letters his cousin’s wife has been receiving. Really he wants her to talk to her fiancé – Superintendent Alan Markby about them. Meredith is reluctant to get involved but Toby is a friend – even if Alan doesn’t particularly like him. But Alan is interested and agrees to have lunch with Toby’s cousin and his wife. Jeremy’s wife, Alison, was tried for the murder of her aunt, Freda Kemp, and acquitted more than twenty years ago and she had thought the whole thing forgotten but it seems the anonymous letter writer is aware of her past and doesn’t want to forget it. 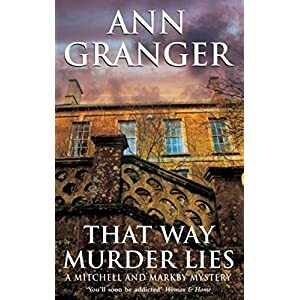 A new member of Markby’s team – Inspect Jessica Campbell – is put in charge of the case when murder once more appears in Alison’s life. I enjoyed reading this well written story and completely failed to work out who was behind the murders. I thought the characters were believable and interesting and he book was well plotted. I liked Jessica Campbell as a character too and would like to see more of her. I can recommend this series and this book to anyone who likes their crimes novels without too much on the page violence and bad language.